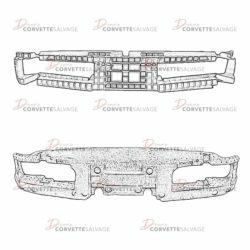 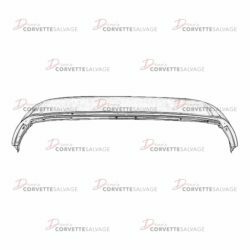 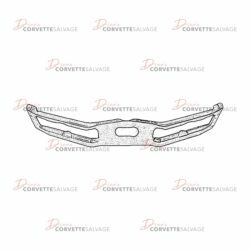 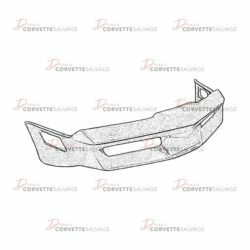 This part is a good, used C3 Front Bumper Cover which can be installed on a 1980 to 1982 Corvette. 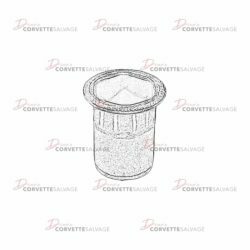 This part is a new, OEM C5 GM Specialty Nut which can be installed on a 1997 to 2004 Corvette. 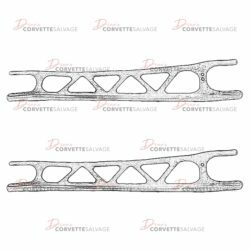 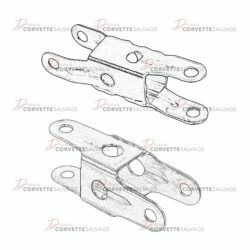 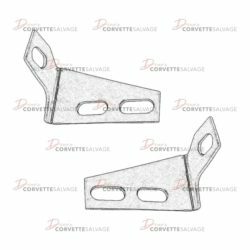 This part is a good, used C4 Front Bumper Side Reinforcement Support which can be installed on a 1984 to 1996 Corvette. 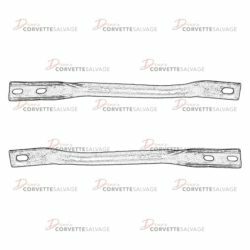 This is a good, used C4 Front Bumper Impact Absorber which can be installed on a 1984 to 1996 Corvette. 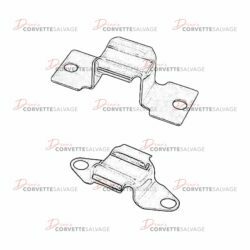 This part is a good, used C4 Driveline Support which can be installed on a 1984 to 1996 Corvette. 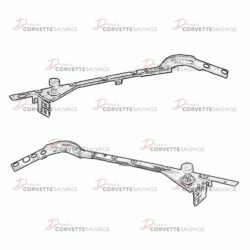 This part is a new, old stock (NOS) C6 Rear Upper Roll Bar Panel which can be installed on a 2005 to 2013 Corvette. 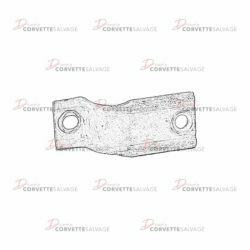 This part is a good, used C5 Front Sway Bar Bushing Support which can be installed on a 1984 to 1996 Corvette. 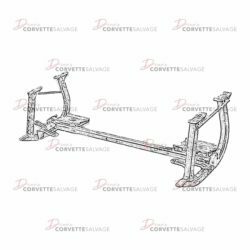 This part is a good, used C5, C6 Stabilizer Bar Clamp which can be installed on a 1997 to 2013 Corvette. 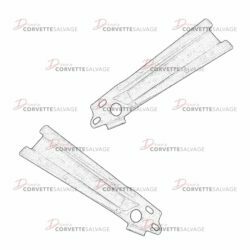 This part is a good, used C3 Front Impact Bar Extension which can be installed on a 1980 to 1982 Corvette. 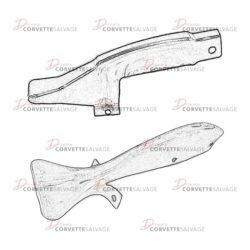 This part is a good, used C3 Front Bumper Impact Bar which can be installed on a 1980 to 1982 Corvette. 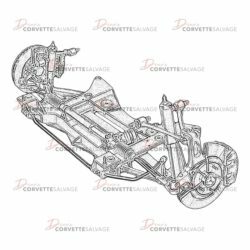 This part is a good, used C5 Rear Suspension Assembly which can be installed on a 1997 to 2004 Corvette. 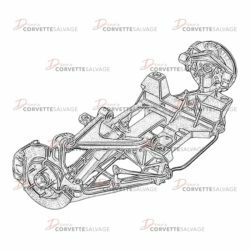 This part is a good, used C5 Front Suspension Assembly which can be installed on a 1997 to 2004 Corvette. 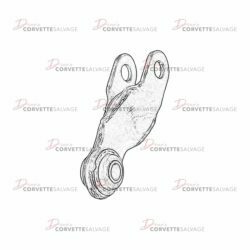 This part is a good, used C4 Front Stabilizer Shaft Link which can be installed on a 1984 to 1996 Corvette. 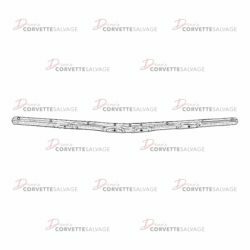 This part is a good, used C4 Rear Stabilizer Shaft Link which can be installed on a 1984 to 1996 Corvette. 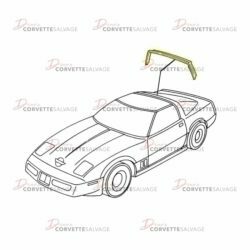 This part is a new, reproduction C4 Rear Coupe Roof Weatherstrip which can be installed on a 1984 to 1996 Corvette.